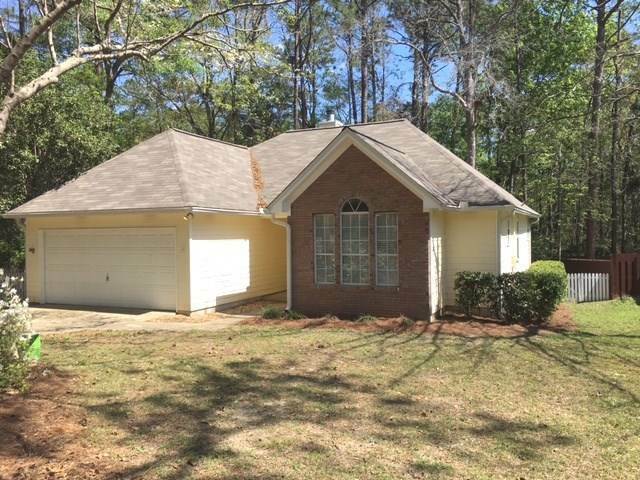 Enjoy peace and tranquility in this 3BR/2BA home nestled on a beautifully wooded lot in Killearn Lakes. This move in ready family residence has been freshly painted inside and offers all new carpeting & tile flooring along with new cabinets and granite counter tops in the bathrooms and kitchen. Featuring a large living area with a cozy fireplace and built in shelving, an inside laundry room and an open kitchen with a closet pantry and brand new stainless steel appliances. The spacious master bedroom offers laminate wood flooring, a large walk-in closet and a private bath with dual vanity sinks and separate shower. Extend the living space outdoors and entertain comfortably on the expansive back deck overlooking the beautiful back yard. A private retreat, yet conveniently located close to schools, shopping and dining with easy access to I-10 and Downtown. All Information recorded in the MLS is intended to be accurate but cannot be guaranteed, buyer advised to verify. Sold As-Is. Directions:From Deer Lake S - Continue on Deer Lake W, left on Hunters Ridge Trl and property is on right. SchoolsClick map icons below to view information for schools near 8277 Hunters Ridge Trail Tallahassee, FL 32312. Listing provided courtesy of All Florida Property Group.